By applying for an ETA/eVisitor visa via this website, you hereby agree that the information given are true and correct as to the best of your knowledge. As such, we do not take any responsibility of any refusal by the Department of Immigration and Boarder Protection authority due to not providing the true and correct information. Therefore, we kindly request you to recheck your application information before submitting. By applying for an ETA/eVisitor visa via this website, you must disclose if you have any criminal convictions for which you have been sentenced for a total collective period of twelve months or more regardless of that have been served yet or not. By entering personal information into this website you authorise the Australian Visa Authority to use and hold this information for the purpose of applying for an Electronic Travel Authority (ETA) to Australia. We are an Australian based company and have no affiliation with any government authorities for the ETA/eVisitor Visa. We also do not have the authority to grant you a visa of any kind. 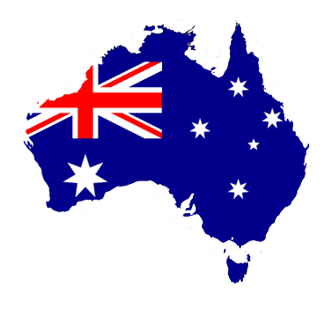 We may only assist you to receive the ETA/eVisitor visa for Australia. As such, the final decision on all visa applications rests with the Department of Immigration and Border Protection (DIBP) authority of Australia. No refunds can be granted on any visa application, regardless of non-acceptance of an existing visa. Hence, all sales are final. Referrals and Refusals – We only process ETA/eVisitor visa applications on your behalf. Therefore, we do not and will not offer advice on how to proceed or what to do in the event when your ETA/eVisitor visa application is referred or refused. The fee you have already paid includes processing of the ETA / eVisitor visa only and that does not include any appeals or additional services. The cost of the ETA/eVisitor visa application is non-refundable and should your application be refused, you will not be issued a refund. Your ETA/eVisitor visa request shall be processed within the requested time frame you may choose from the given options. In the event that your visa is processed through our website and an existing ETA is established, the fee you have paid shall be nonrefundable. As such, we will issue you an e-mail confirming of your current ETA status and the charge is applied to recover the use of our system resources.